Boy, where to start on my Ameritron AL-811 repairs? It started a couple of months ago when I replaced the tubes. I took the cover off, replaced the tubes and one of the meter bulbs went out. So I took the cover off again just to look at it and when I put the cover back on and fired it up, the other bulb went out! That’s where the troubles began. So I’ve been running it without lighted meters; it’s not too bad, but I like the lights. Just recently though I heard a popping noise coming from the amp. This needed immediate attention. After checking the forums I decided to take a look at the capacitors and check for leaking or damage. I found one capacitor was leaking and ordered a replacement from Amazon. Total cost for one capacitor = $29.98 at Amazon. The picture on Amazon showed two, but that’s not what I got and that’s way too expensive. I found later the cost at MFJ is a lot better and even at RFParts.com. The shipping is a little high, but they still only come out to approx. $15 per cap if you order four. I replaced the one that was leaking and what do you know? It still popped when I tested it. So I order 4 more capacitors at RFParts.com. I replaced all four capacitors and again the same popping. After taking the cover off and removing all of them I discovered one of them had blown. A brand new cap went bad. Luckily I had an extra, so I put it in and got it working. UPDATE: Eventually, I had to replace one of the bleeder resistors and I haven’t had any problems since. While I was waiting on the capacitors to arrive I ordered some LED bulbs off of Amazon. Honestly I think these are a little too bright, but I like them enough and I have three to spare, so I’m going to stick with them. I just soldered one in and wedged it between the meters (See video). Just as I thought I had everything working, the fan started making noise. I blasted it with canned air and tightened the screws; so far so good. Here’s a clip I made so you can have a good look at it. WORKING ON AMPS IS VERY DANGEROUS, PLEASE TAKE EXTREME CAUTION. FOLLOW AT YOUR OWN RISK. DO NOT ATTEMPT TO PUT THIS AMPLIFIER IN SERVICE WITH THE COVER REMOVED! CAPACITORS TO DISCHARGE BEFORE REMOVING THE COVER. HI Rich, Maybe you can help me with a question. I was recently given an AL-811 (not H). I am planning on selling or trading it so I opened it to see if it was clean inside before testing it. It looks great but there is a wire that was deliberately cut on the input board. Without taking it apart more I do not know what it does. Any ideas? I can send you a picture if you like. Nice to hear from you and thank you for the e-mail. I apologize for the delay in getting back to you, I was out of town for a while. That may be the 10 meter mod. If you look at the online manual you will be able to tell. Very bright, but I still have them in since 2016. I have and 811H ..it’s making the same popping as yours was. What is the best way to discharge the 4 capacitors so they are safe to change? I think the discharge information is in the manual or probably online somewhere. I have an Ameritron Al811 and when I key mic it makes a buzzing sound what could be the problem ? Nice to hear from you. There could be something wrong with it or just RF. Had it been working good for you, did anything change and did this just start happening? 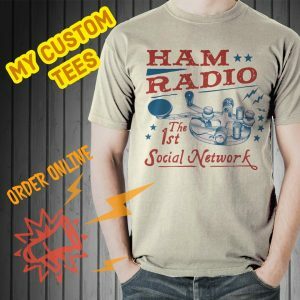 Thank you for your comments and for your service to our ham radio community! I dropped by my local HRO shop yesterday and since the unit was a recent purchase, they advised that I return it for another unit which I did. The new unit is working fine. The fan in the new unit is also much quieter. I heard from Rob at Ameritron and he offered to help me troubleshoot and send any necessary parts. In the end, I am satisfied with the amp and the extremely helpful service at HRO and Ameritron. The folks at the Denver HRO are awesome! That’s fantastic and I’m happy to hear that. Thank you again for the nice comment. I hope to hear you on the air with that new amp.! I just bought a brand new Ameritron AL-811 from the Denver HRO (4/2018) and, right out of the box, it’s making a loud snapping sound shortly after turning on the power. I sent a note to Ameritron tech support and they say it’s probably “one or more” of the HV filter caps but offer no help on a warranty repair. I’ll chat with HRO today. Nice to hear from you and thank you for the comment. I can relate. I had cold solder joints in my amp and re-soldered them myself. I would buy Ameritron again, but at least I know what I am in for. I would think at the very least they would offer to send you the parts for free. Shipping those things back and forth is an ordeal. On a positive note those little amps are very good and reliable once they are working properly, hi! I hope they resolve it for you to your satisfaction. I buy from HRO in Denver and have had all positive experiences with them. Excellent YouTube video and website. I was wondering if you or anyone has had issues with this amp with the IP meter dancing around? I can touch the meter, wiggle it, and the needle dances around all over the place. If I rock it back and forth it will sometimes function normally. Any help would be appreciated. 73, Marc VA7MNM at Yahoo dot com. Nice to hear from you and thank you for commenting. When I’m not transmitting mine is on 0 and when I flip the switch to HV it jumps and stays at around 1.7KV. It doesn’t move around. I suspect it’s a loose connection on the meter inside. That’s what I would look at first.